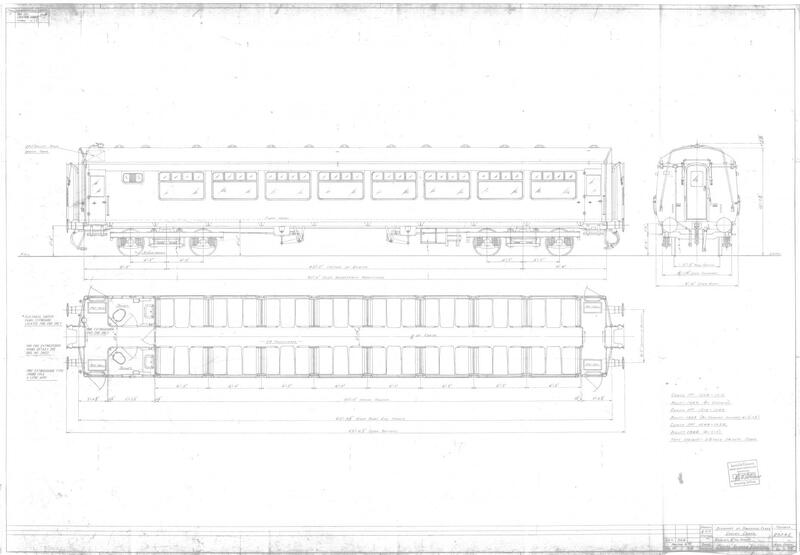 n Spring 1961 CIe sought tenders for the supply of 40 new Standard Class coaches, 10 to be delivered complete, the rest "part-finished" for assembly in Inchicore with technical assistance from the suppliers. The �500,000 contract was awarded to Cravens of Sheffield. It was reported that these new vehicles "would set a pattern for future construction of CIE carriage stock." The first of the Sheffield-built coaches was unloaded at the North Wall, Dublin on 3 May 1963 and taken to Inchicore for acceptance. These coaches were built with light alloy bodies on steel underframes on Type B4 bogies. Each saloon had 64 seats, arranged in eight bays of four around a table, either side of a central gangway, with two toilets situated in the vestibule at one end. The interior was finished in laminated plastics, creating a light and airy feel. They were fitted with a public address system, double-glazed windows and central fluorescent lighting along their length, the first coaches in Ireland to be so treated. Heating was by steam, supplied from a Steam Heating Van. They were 62*ft 8 in long, 9*ft 6 in wide, 12*ft 7.5 in high, weighed 28 tons and 14 cwt. and were numbered 1504 to 1513. The 30 incomplete coaches were numbered 1514-1543, and although the total order was for 70, only 15 more (numbered 1544-1558) were built to a total of 55. Prior to their displacement on these services by railcars, right into the 2000s the Cravens could be found on outer suburban workings, such as those from Dublin to Arklow and Longford. They could also be found on rural services such as those on the Rosslare-Waterford-Limerick route and the Mallow to Tralee line.